Pergolas both serve a purpose and are visually appealing. 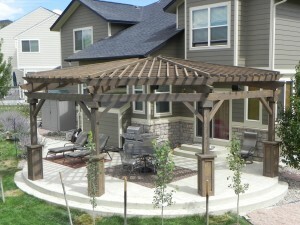 They help to cool decks and patios on hot Colorado summer days as well as providing architectural appeal. Take a moment and look through the links on the left of the page to explore the design considerations, materials, and additional accessories that we will guide you through in the process of designing a pergola for your home.